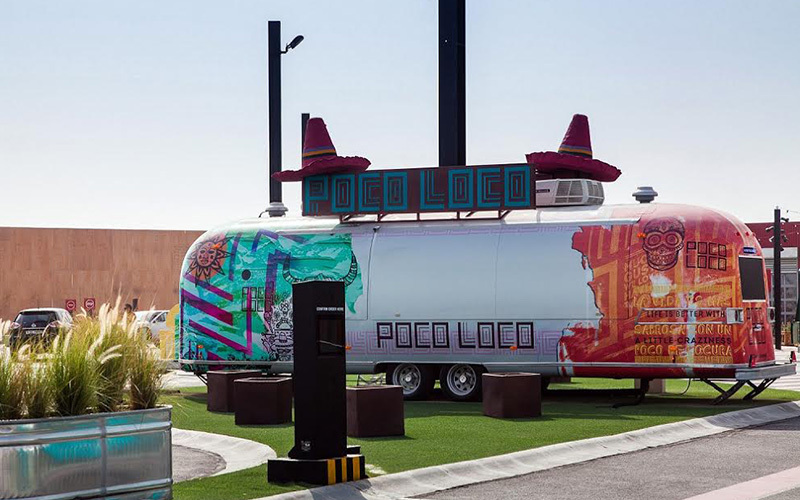 At the recently opened Last Exit food truck stop on Sheikh Zayed road, you’ll find Baja Fresh serving up all-fresh, traditional fire-grilled Mexican favourites. A gourmet burger concept, serving hand-crafted, top quality burgers featuring a selection of all-natural toppings, proprietary sauces made in house from scratch and hand-cut French fries, cooked in trans-fat free canola oil. A specialty that is unique to the establishment is its signature traditional poutine. Serving all things delicious in a long bun, with meats like angus beef and chicken offering a variety of toppings to go with. This neighbourhood friendly place is a must try for those looking for a street food classic. Operation Falafel is the 21st century take on casual falafel restaurants. Enjoy their signature falafel alongside a selection of traditional Levant dishes, such as delicious hummus, tangy fattoush, succulent chicken shawarma and generous portions of manaeesh. The perfect location for breakfast, lunch, light snacks or dinner. Most commonly known in its restaurant form serving American classics with a southern twist, New York’s Clinton Street Baking Company has a food truck version at Last Exit. Expect to find favourites such as its fried chicken and waffles, organic milkshakes, short rib sliders, grilled and fried chicken sandwiches. connect@vida-hotels.com. If you’re in the mood for healthy, simple flavours, here you can savour a variety of seafood delicacies with fresh lobsters, mussels, shrimps, calamari and more. From seafood buckets, to mixed platters and favourite homemade sauces, Urban Seafood is a modern, fresh and innovative seafood concept that offers the best of the ocean. This food truck brings a mix of sophisticated and fun Latin American inspired dishes and drinks, all inspired by revered Chef Neil Witney and his travels across Latin America. The menu celebrates the best of Latin American soul-food to delight diners of all ages. For more information, visit Last Exit.